Provided to YouTube by Universal Music Group I Want You · Janet Jackson Damita Jo ℗ 2004 Virgin Records America Inc. Released on: 2004-01-01 Producer: Janet Jackson Producer: Kanye West Producer: Jimmy Jam & Terry Lewis Composer Lyricist: Harold Lilly Composer Lyricist: Kanye West Composer Lyricist: Burt Bacharach Composer Lyricist: Hal David Composer Lyricist: John Stephens Auto-generated by YouTube. 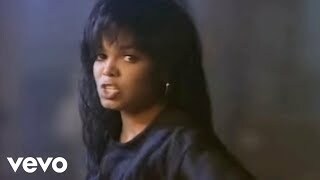 Provided to YouTube by Universal Music Group Call On Me · Janet Jackson 20 Y.O. ℗ 2006 Virgin Records America Inc. 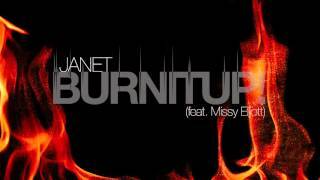 Released on: 2006-01-01 Composer Lyricist: Jermaine Dupri Composer Lyricist: Johnta Austin Composer Lyricist: James Phillips Composer Lyricist: Cornell Hayes Composer Lyricist: Terry Lewis Composer Lyricist: James Harris Auto-generated by YouTube. Provided to YouTube by Universal Music Group That's The Way Love Goes · Janet Jackson Janet ℗ 1993 Virgin Records Ltd. 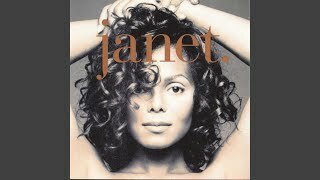 Released on: 1993-01-01 Producer: Jimmy Jam Producer: Terry Lewis Producer, Associated Performer, Vocals: Janet Jackson Composer Lyricist: Janet Jackson Composer Lyricist: Terry Lewis Composer Lyricist: James Harris Auto-generated by YouTube. 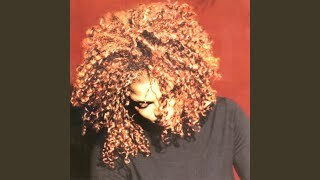 Provided to YouTube by Universal Music Group I Get Lonely · Janet Jackson The Velvet Rope ℗ 1997 Virgin Records America, Inc. Released on: 1997-01-01 Producer, Executive Producer, Associated Performer, Rhythm Arranger, Vocal Arranger: Janet Jackson Producer, Associated Performer, Rhythm Arranger, Vocal Arranger: Jimmy Jam Studio Personnel, Engineer, Recording Engineer, Mixer: Steve Hodge Producer, Associated Performer, Rhythm Arranger, Vocal Arranger: Terry Lewis Producer: Terry Lewis For Flyte Tyme Productions Producer, Executive Producer: Rene Elizondo Jr. Associated Performer, Rhythm Arranger, Drum Programming: Alex Richbourg Associated Performer, Guitar: Mike Scott Studio Personnel, Asst. Recording Engineer: Xavier Smith Studio Personnel, Asst. Recording Engineer: Tim Lauber Studio Personnel, Mastering Engineer: Mike Ozdozzi Associated Performer, Keyboards, Rhythm Arranger: James "Big Jim" Wright Studio Personnel, Mastering Engineer: Brian "Big Bass" Gardner Composer Lyricist: Janet Jackson Composer Lyricist: Terry Lewis Composer Lyricist: Rene Elizondo Composer Lyricist: James Harris Auto-generated by YouTube. Provided to YouTube by Universal Music Group If · Janet Jackson Janet ℗ 1993 Virgin Records Ltd. Released on: 1993-01-01 Producer: Janet Producer: Jimmy Jam and Terry Lewis Associated Performer, Vocals, Producer: Janet Jackson Producer: Jimmy Jam Producer: Terry Lewis Composer Lyricist: Janet Composer Lyricist: Terry Lewis Composer Lyricist: James Harris Composer Lyricist: Robert Beavers Composer Lyricist: Harvey Fuqua Auto-generated by YouTube. 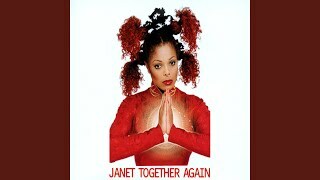 Provided to YouTube by Universal Music Group Together Again · Janet Jackson Together Again ℗ 1997 Virgin Records America Inc. Released on: 1997-01-01 Composer Lyricist: Janet Jackson Composer Lyricist: Terry Lewis Composer Lyricist: James Harris Auto-generated by YouTube. 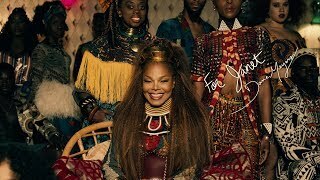 Provided to YouTube by Universal Music Group Would You Mind · Janet Jackson All For You ℗ 2001 Virgin Records America, Inc. Released on: 2001-01-01 Producer, Executive Producer, Associated Performer, Vocals: Janet Jackson Producer, Executive Producer, Associated Performer, Instruments (emi Load: Do Not Use), Participant: Jimmy Jam Producer, Executive Producer, Associated Performer, Instruments (emi Load: Do Not Use), Participant: Terry Lewis Producer, Associated Performer, Drum Programming, Programming: Rockwilder Studio Personnel, Mixer: Steve Hodge Studio Personnel, Assistant Mixer: Brad Yost Studio Personnel, Assistant Mixer: Xavier Smith Associated Performer, Guitar: Mike Scott Studio Personnel, Recording Engineer, Engineer: Dave Ashton Studio Personnel, Recording Engineer: Chris Seul Studio Personnel, Asst. Recording Engineer: Gale Guilarte Studio Personnel, Mastering Engineer: Mike Bozzi Studio Personnel, Mastering Engineer: Brian "Big Bass" Gardner Composer: Janet Jackson Composer: James Harris Composer: Terry Lewis Composer: Dana Stinson Auto-generated by YouTube. 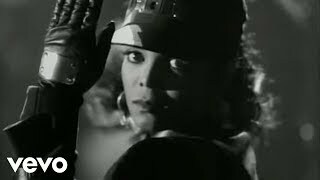 Provided to YouTube by Universal Music Group Any Time, Any Place · Janet Jackson Janet ℗ 1993 Virgin Records Ltd Released on: 1993-01-01 Producer, Associated Performer, Vocals: Janet Jackson Producer: Terry Lewis Producer: Jimmy Jam Studio Personnel, Mixer: 71 West 23rd Composer: Terry Lewis Composer: Janet Jackson Composer: James Harris Auto-generated by YouTube. Provided to YouTube by Universal Music Group All For You · Janet Jackson All For You ℗ 2001 Virgin Records America Inc. Released on: 2001-01-01 Producer: Jimmy Jam Producer: Terry Lewis Composer Lyricist: Davide Romani Composer Lyricist: Wayne Garfield Composer Lyricist: James Harris Composer Lyricist: Janet Jackson Composer Lyricist: Terry Lewis Composer Lyricist: Mauro Malavasi Auto-generated by YouTube.